Discount available! Recommend Fully Automatic System For Lead-Acid Batteries - 12V / 1.25A to your friends and get your Discount. Chargers for lead elements with a maximum voltage of 12 V with automatic 4-phase charging function. 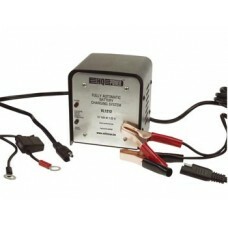 Compatible with most of lead-acid batteries on the market. Power supply 220 Vac. output: 12V / 1.25A max.